Being busy with unpacking from my recent trip to Burning Man, I totally missed tonight’s sunset. I saw the beautiful pastel colors in the sky, but didn’t have time to leave home to try to capture this. 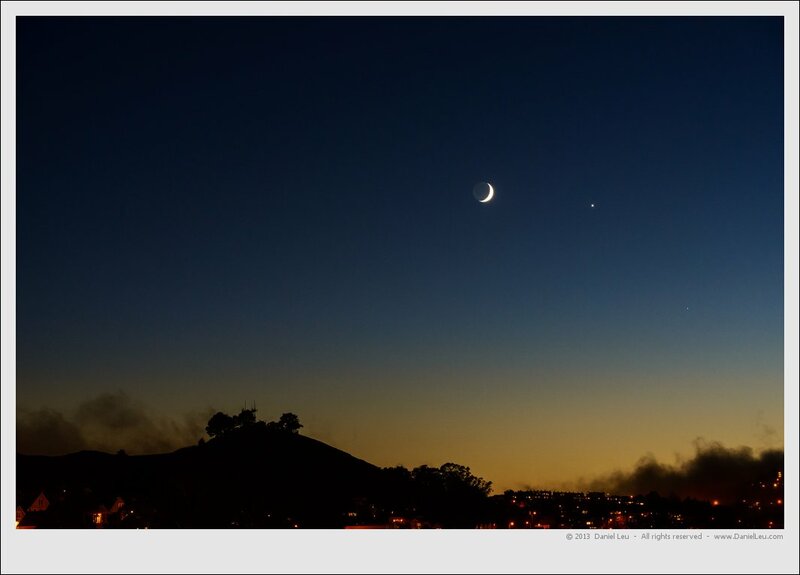 But a little bit later while preparing the BBQ to cook dinner, I saw the moon and Venus over Bernal Heights. This time I couldn’t let it go. How long did it take to get the dust out of everything! It was really a nice clear night and a great opportunity. Glad you not only saw, but captured! great capture Daniel! Am glad you did capture such a lovely sight! Thanks Tony, for once this moon shot wasn’t planned. Just a great coincidence.